Staff share their experiences of Blacktown Hospital as part of a new hospital campaign. Blacktown Hospital staff members have shared what they love about their hospital as part of a campaign to attract more staff to the growing facility. A new main hospital building will open mid 2019 for emergency, operating theatres, intensive care, women’s and children’s health, and other services, and acting hospital general manager Luke Elias said it was great time to think about a career at Blacktown. “The hospital is expanding and we have a range of jobs available now for nurses, allied health professionals, administration and support staff,” Luke said. 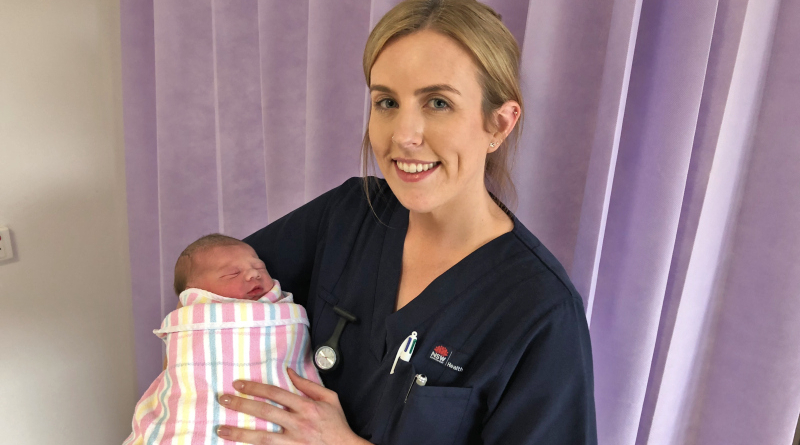 Kelly Dowler is a midwife at Blacktown Hospital. The “You’ll Love Blacktown” video features doctors, nurses, midwives, allied health professionals, and support staff sharing their ideas about what makes the hospital special. “We hope the new campaign gives them a fresh perspective on what it’s like to work at Blacktown Hospital, and the benefits of living and working in western Sydney,” Luke said. In addition to the “business as usual” recruitment activities, Luke said more jobs were in the pipeline to support the new main hospital building opening later this year. “We’re currently completing a workforce plan to support the expanded services and we will have more information about jobs shortly,” he said. The expansion project has created a weekly Wednesday bulletin for job seekers which has received more than 2,000 clicks since it was established. “There’s a lot on interest in working at the hospital and a lot to love about the people, the culture and the contemporary new facilities,” Luke said.